There's just a few weeks to go to enter the competition I'm running on A Bad Witch's Blog, with a prize of two pairs of tickets to the Mind Body Soul Experience in May. Details of how to enter are at the bottom of this post, and also here. I've also been writing about some of the free workshops taking place at MBS Manchester, including Shamanism and Past Life Regression. Here's another: Crystal Sound Activation with Lui Kreig. recognised. Today, industry the world over uses synthesised crystal on a huge scale. Lui Kreig, a crystal sound healing alchemist from Glastonbury and co-creator of Glastonbury: The Ancient Isle of Avalon, says "With everything and everyone having a certain frequency of their own its no wonder that crystals can affect both you and your surroundings." 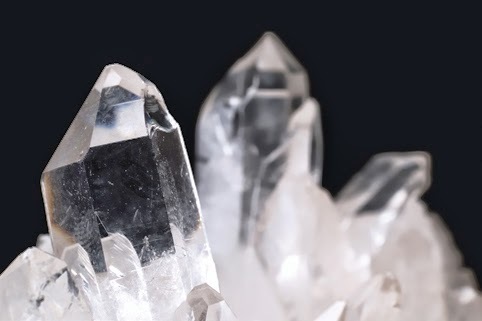 At the Mind Body Soul Experience Lui Krieg will be giving a unique insight into the healing power of quartz, the master healing stone, and will help the audience to tune in and program a crystal that will be held by everyone taking part in an activation ritual. He will then give an introduction into the healing power of sound and frequencies using his collection of sound healing instruments including tuning forks, a didgeridoo made from quartz crystal, Native American drums, Tibetan singing bowls, gongs and other sacred sound instruments. The Crystal Sound Activation ritual, at the end of the workshop, aims to guide those present into a deep, meditative state to let healing take place. Those taking part are invited to bring along their own favourite piece of quartz crystal. The MBS Experience takes place at Manchester Central from 10 – 11 May 2014. Online admission costs are £7.50 for adults and £6 for concessions. They can be booked via: www.mbsevents.co.uk On the door, tickets are £9/£7.50.